Blog readers who said “Eewww!” about my baby spiders and giant slug photos might want to skip this one. Two thousand redworms (Eisenia Foetida) are buried in the mulchy stuff and shredded newspaper right now, eating yesterday’s kitchen scraps. And there may actually be more than two thousand by now because I hear they reproduce quickly. That’s right…. The Messner family basement is now a vermicomposting center. 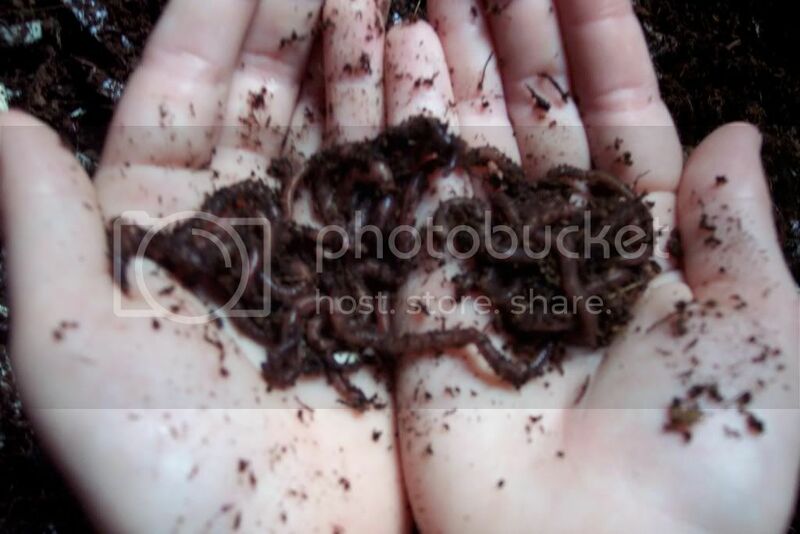 The kids helped me set up the bin last week, and the worms arrived three days ago. Kinda cute, aren’t they? In a wormy sort of way? The worm bin has three tiers. 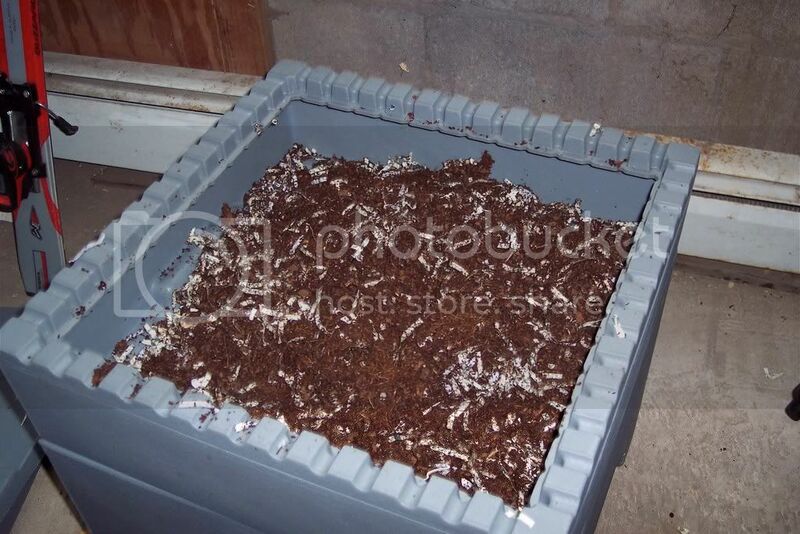 You fill the bottom layer with bedding and worms and then start adding kitchen scraps. (They’re eating cucumber peels at the moment.) When it’s full, you add the next layer and start burying your scraps in that one. The layers are separated by a screen through which the worms can crawl. When they’re finished eating all the garbage in the bottom layer, they mosey on up to the next layer, leaving behind the worm castings that are so good for my giant pumpkin plants. You dump out the castings, refill that tier with bedding, and put it back on the top of the worm bin. Cool, huh? I’ll keep you posted on their progress, and if you want to learn more about vermicomposting, Mary Appelhof’s terrrific book Worms Eat My Garbage has all kinds of juicy details on the process and how it works. 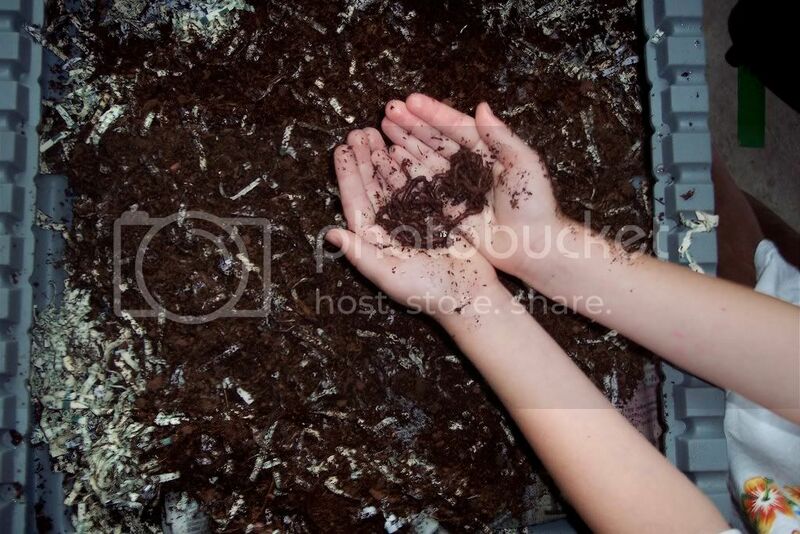 This entry was posted in Uncategorized and tagged vermicomposting, worms eat my garbage. Bookmark the permalink. Both comments and trackbacks are currently closed.